Whether it's a holiday concert, a science fair, or a sporting event throughout the school year there are plenty of opportunities for creating videos that include images and or raw video of students doing neat things. Not every student wants to appear in those videos. Likewise, not every parent wants his or her child's image to appear in those videos. Fortunately, there are a couple of relatively easy ways to blur a child's image in a video. If your video is just a set of images set to audio with a bit of text sprinkled-in, try using Skitch to blur students' faces before adding those images to your video slideshow. In the video embedded below I demonstrate how this works. Blurring images in a live-action video is a bit more difficult to do than in a video slideshow, but it can be done. 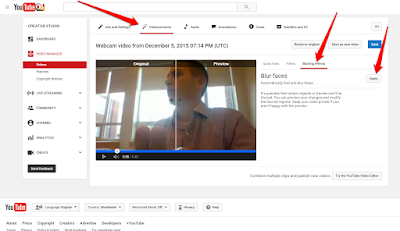 Within YouTube's video editor there is a "blur" function found in the "enhancements" section. 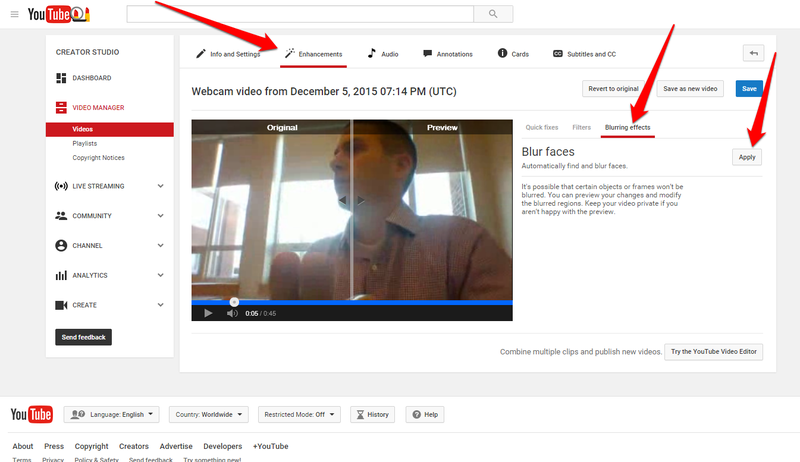 Turn on the blur enhancement and YouTube will automatically blur faces in an image. The shortcoming of this feature is that it blurs all faces. There isn't a way to specify which faces to blur and which not to blur.